It's my opinion you will love that the product offers includes official marvel universe trading card!. 035112493754 is the UPC barcode also called the Universal Product Code, for this smart toy. If you want a good deal on this Xmen toy, click on the shopping cart add to shopping cart button. 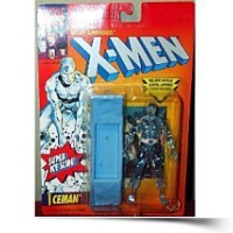 Iceman is part of the X-Men 5 inches tall action figure line. Made by Toy Biz in 1993 and long out of production. 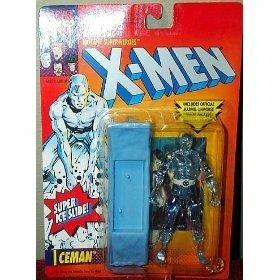 Iceman action figure with Freezable Super Ice Slide! Iceman has the mutant capacity to turn himself into a being of living ice. But most important of all, the X-Men know that no matter how hot the battle, Iceman usually keeps his cool. When he does that, he can produce nearly anything he wants: ice slides, ice weapons, ice shields, not to mention icicles and snowballs. And when he really concentrates, he can produce a blinding snowstorm even inside the middle of July!